Directing the flow of traffic..
one inefficient sign at a time! 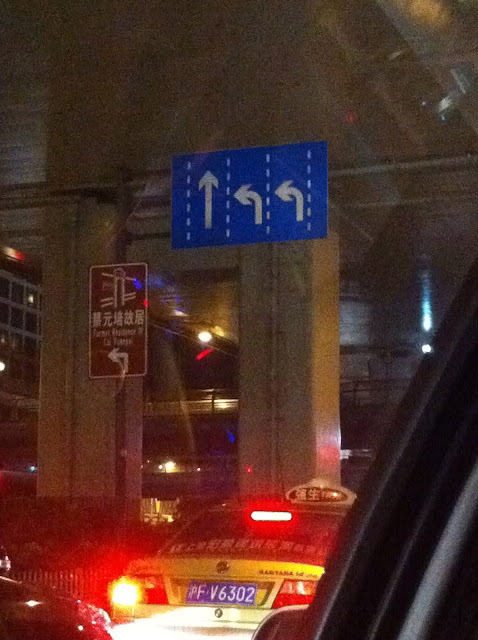 Wouldn't it make more sense to have the left turning lanes be the farthest to the left? Just a random musing for your Thursday morning! Have a great day!